How many times have you arrived at a meeting on time, only to watch the presenter spend ten minutes troubleshooting a shaky WiFi connection? Or, you’re working from a coffee shop and, after a few minutes of feeling like the “Can you hear me now?” guy with a PC, you realize there’s only one corner with reliable connectivity. WiFi isn’t a nicety for today’s workforce, it’s a necessity. When your connection works, you don’t think about it, but when it doesn’t, work stops. Spotty connectivity is not only irritating for workers, it’s also a challenge for IT tasked with broadcasting solid WiFi to the farthest reaches of campus. It’s with this rampant problem in mind that Dell is excited to introduce the Dell Latitude 7490 with Intelligent Wireless, featuring the exclusive Active Steering Antenna (ASA) technology, announced at CES 2018. ASA is designed to give the Latitude 7490 connectivity superpowers. It intelligently detects the location of the strongest wireless signal and reconfigures itself to use that path. Think of it like this. Say you’re out to dinner with a friend and that person launches into a story. Will you be able to hear better if you’re facing that person or if your back is turned? That may seem like a silly question, but your PC’s WiFi antenna may very well have its back turned on the best reception spot in the room without your knowing it. Effectively, ASA technology makes sure your laptop antenna is “facing” the strongest WiFi signal for the best possible connection. How? The antenna chooses from multiple different radio wave patterns to automatically find and lock into the optimal choice for the environment, helping to eliminate dead spots and deliver a more reliable WiFi connection with increased, range and speed. 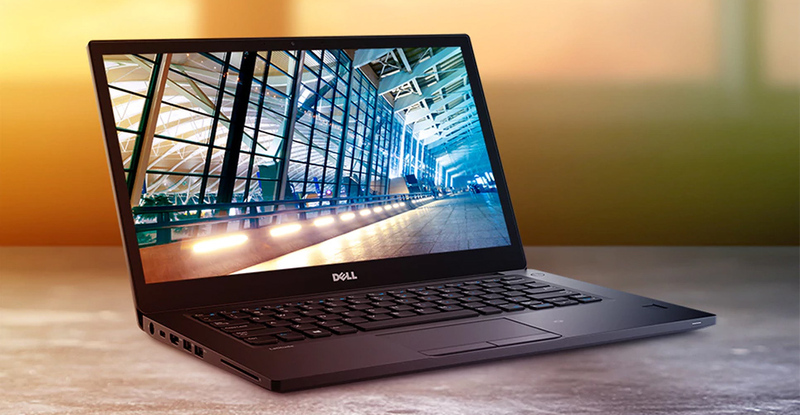 In Dell’s real-world tests, the Latitude 7490 offered substantial throughput improvements over non-ASA-enabled laptops. The most significant improvements were in the locations and orientations where signal reception is on the edge of usability. On average, the Latitude 7490 with ASA technology experiences a 40 percent average 11ac throughput enhancement over the same laptop with a passive antenna solution. That translates into fewer dropped connections, successful file transfers and faster email syncs, even on the fringe of the network. ASA is an important step in Dell’s journey to improve connectivity for mobile workers. For users, it means less time spent troubleshooting their connection and more time being productive. For IT, it means that last mile of coverage on campus is no longer the last mile. Dell is proud to be the first and only to offer ASA technology, exclusively available in certain configurations of the Dell Latitude 7490. There are more connectivity advancements to come as we continue working to solve the real challenges our commercial customers face on a daily basis. For the workers relying on a wireless connection to access company files, collaborate and communicate throughout the day (in other words: just about everyone), spotty connectivity is a serious hurdle. Dell is giving those workers tools to be productive and to office anywhere.